I love to bake! And not just sweet cakes and biscuits (though that does tend to be what I bake most), savoury pastries and pies are just as welcome in my oven! This particular book appealed to me for a couple of reasons; firstly, I'd seen some of the corresponding episodes on BBC2 and therefore seen some of the recipes being made. Now I don't know about you, but I think seeing the dish being made really helps to understand how the ingredients come together, know what I mean? 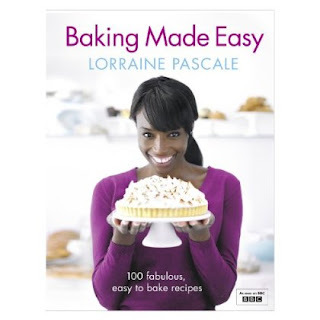 Secondly, the book has a great mixture of sweet and savoury recipes to try out. In particular I'm looking forward to baking the Whisky & Chilli Tiger Prawns, the Cookies & Cream Fudge Brownies and the Pumpkin & Rosemary Muffins ... all of which sound truly scrumptious! Well, I guess we all know the subject of at least three of my future NEW52 posts ... my attempts at making [hopefully] tasty morsels from this book. Sue - too bad you are all the way across the pond. I would love to taste your savory pies and puff pastries... yum! Great NEW book! I've seen this in Waterstones and keep thinking should I? Sounds yummy but I'm a biscuit kinda girl.